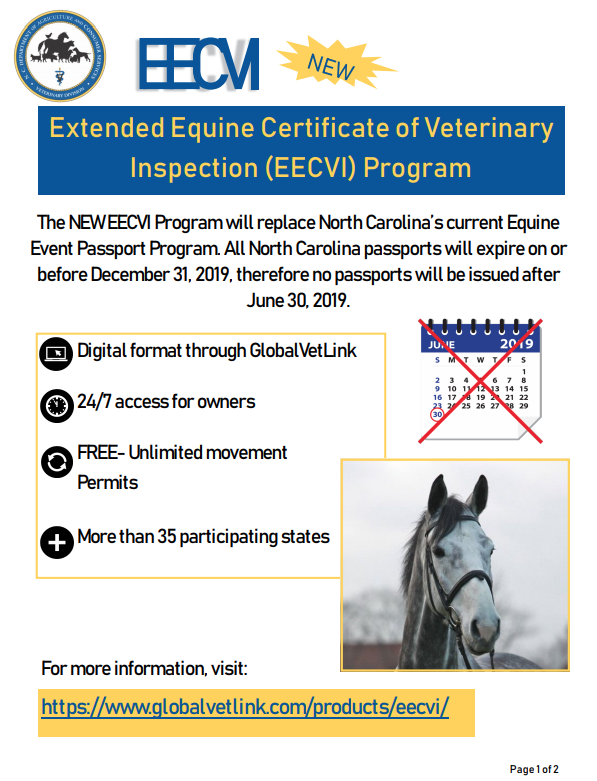 The NC Equine Event Passport Program (through the N.C. Department of Agriculture and Consumer Services) will be discontinued as of Dec 31, 2019. 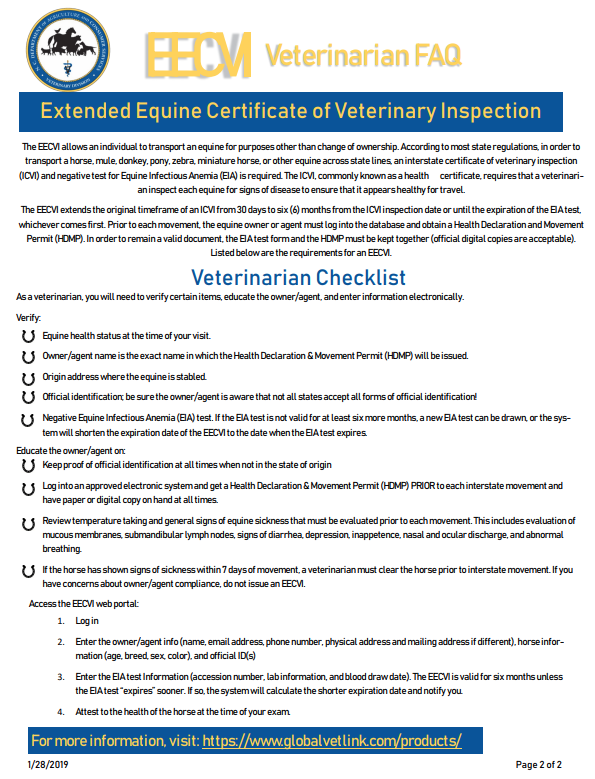 It will be replaced by the Extended Equine Certificate of Veterinary Inspection (EECVI) Program. This is essentially a 6-month health certificate that is recognized by 35 states and is an ideal program for those who have horses traveling/competing frequently. To find out more information, please check out the FAQ tabs on the website.